Seville is a city that offers a wide range of activities. This, besides its beauty, turns Seville into a perfect place to spend a weekend. So if you and your friends are planning to celebrate a bachelorette party, you might want to check out some ideas that can be put into practice in this amazing city. 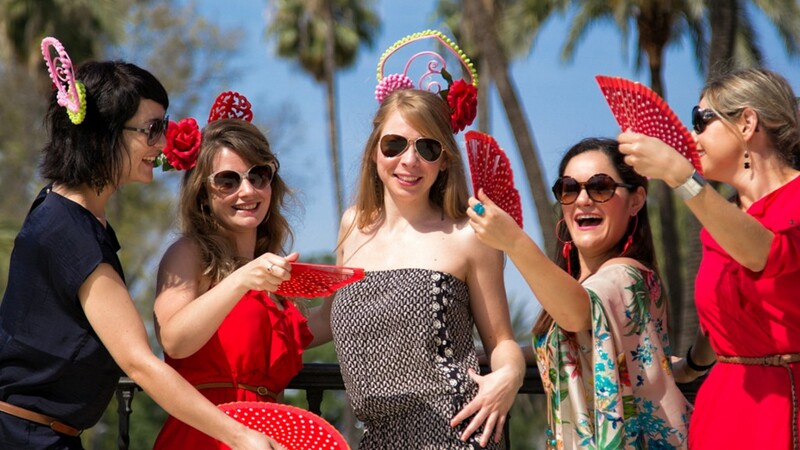 Here at Seville Photo Tour we are always thinking of ways you can enjoy your stay, so how about these ideas for an amazing bachelorette party? We are sure the bride-to-be and all her friends will have an unforgettable experience! Check them out! 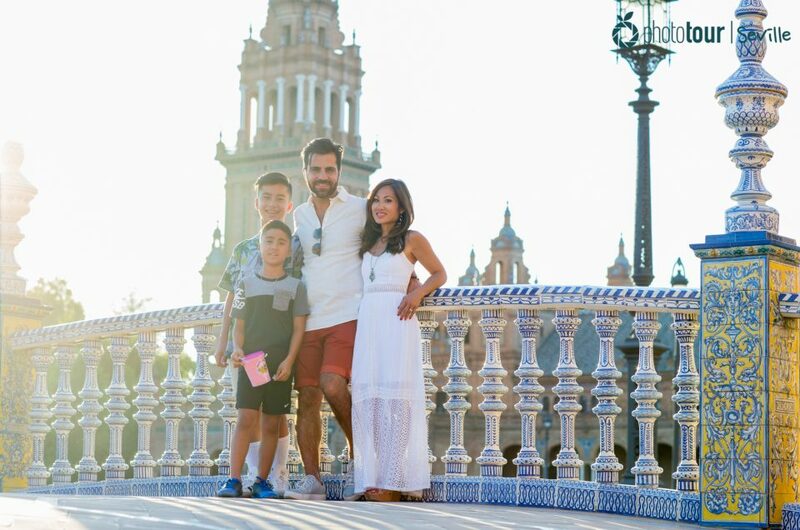 Plaza de España is a stunning place that is an icon in Seville. Its architectural ensemble and the beauty of its large square make it one of the favorite spots of many visitors. There are many ways to gaze it; walking, riding on a horse carriage, and one romantic and funny at the same time: riding on a boat! Whether you had a past sailor or not, riding a boat around Plaza de España in Seville is something that everyone should do. Laughs are a sure thing and you will enjoy of a charming ride around this emblematic square. 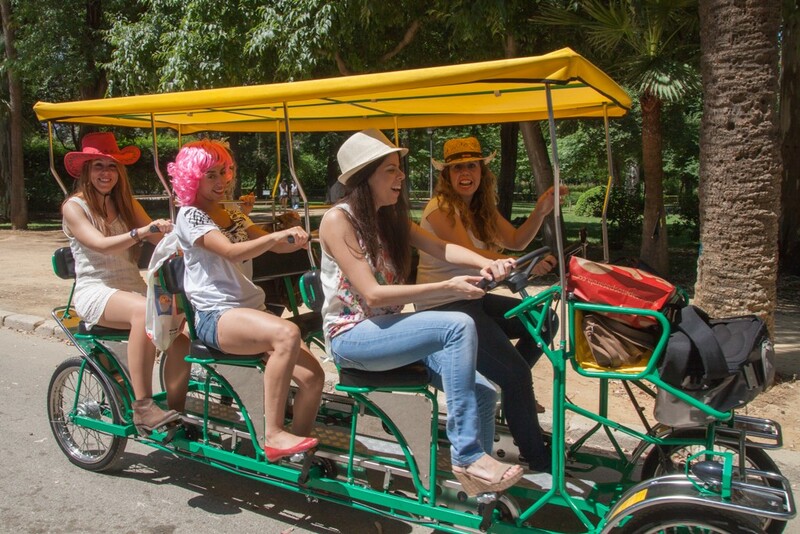 You can enjoy of a healthy and charming ride around one of the most beautiful gardens of Seville. Just be careful of not hitting the numerous horse carriages you will find on your way! A bachelorette party must be celebrated in style! 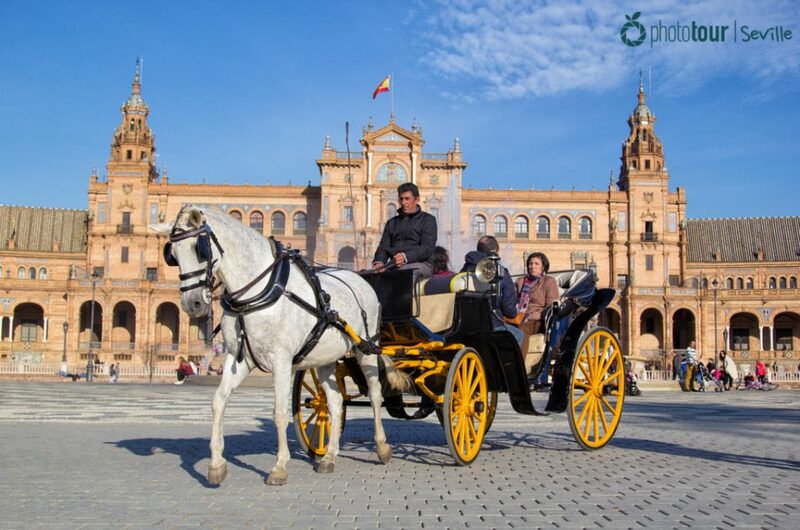 So, how about amazingthe fiancée with a luxury limo where the bride-to-be and her friends can party as celebrities around this beautiful Seville? Seville is one of the greener cities of Europe, so it´s quite easy to find a park. If we have to choose the most beautiful one, we promptly say Maria Luisa Park, but there are others options you can also check, like Parque de los Príncipes or Parque del Alamillo. The wide range of trees and flora makes the Parque de María Luisa one of the most attractive garden in Seville. A suitable place to have a picnic, play with your friends and spend a lovely time. That’s why this park is one of our favorite spots to take pictures during our photography workshops and tours! 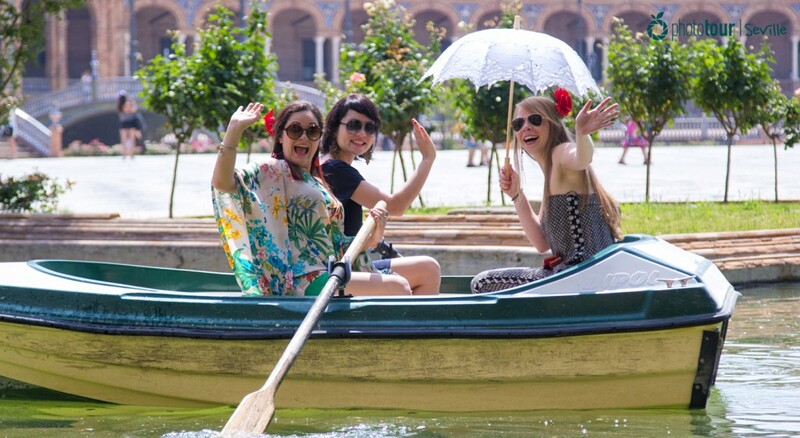 Now that you have some ideas about how to surprise your bride-to-be friend with an amazing bachelorette party in Seville, wouldn’t it be a shame to lose the best moments of it? In Seville Photo Tour we give you the best chance to save them all! Our team of photographers will take you around the city and make their best, so you can enjoy with your friends without worrying who is going to take pictures. 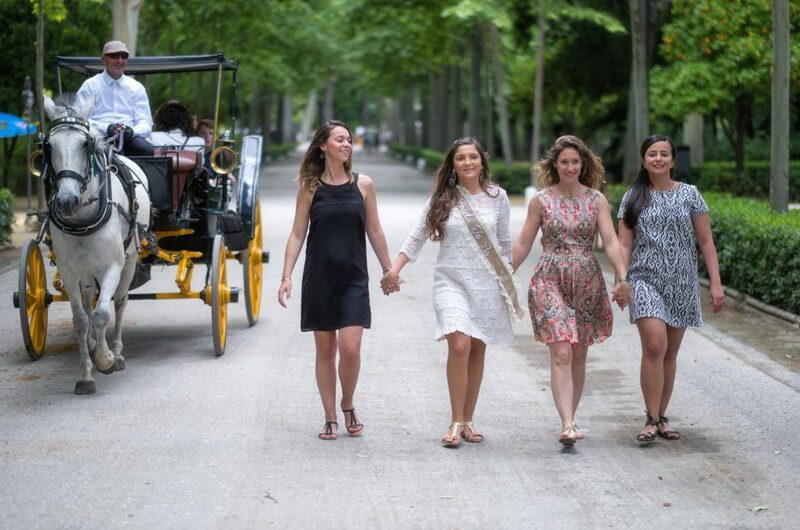 In Seville Photo Tours we always take spontaneous and natural photos of you having fun in your special day! 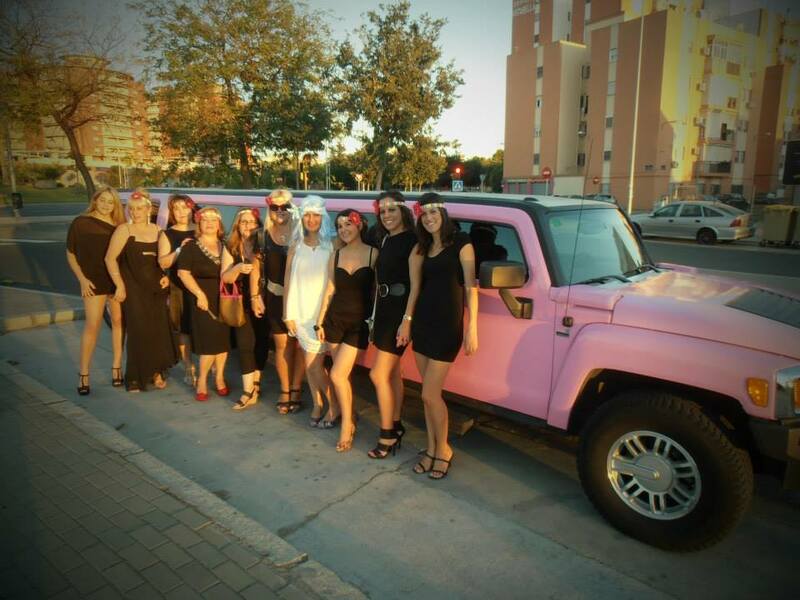 Enjoy your bachelorette party in Seville while we work for you! We will catch the best moments of it, so you can keep forever the unforgettable memories of your visit. Book your photo tour now and save your experience forever!